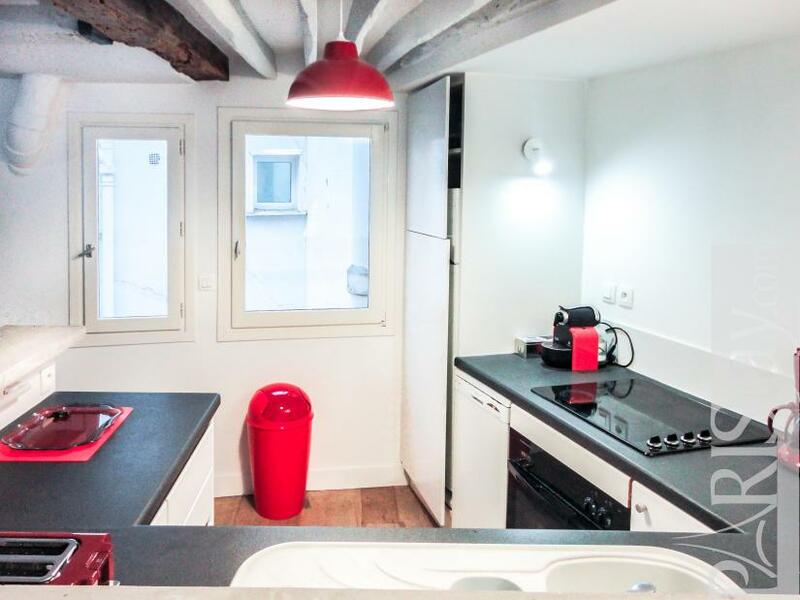 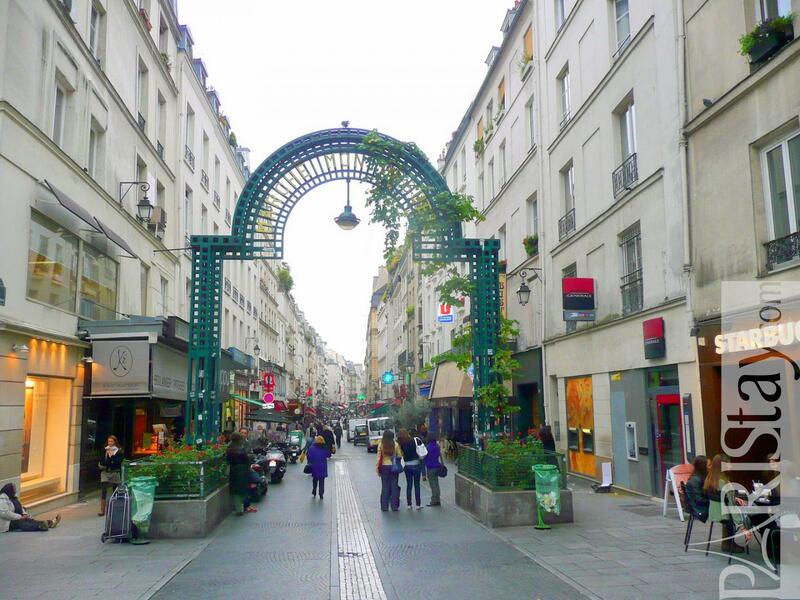 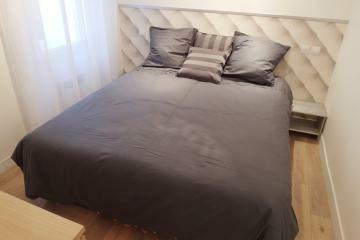 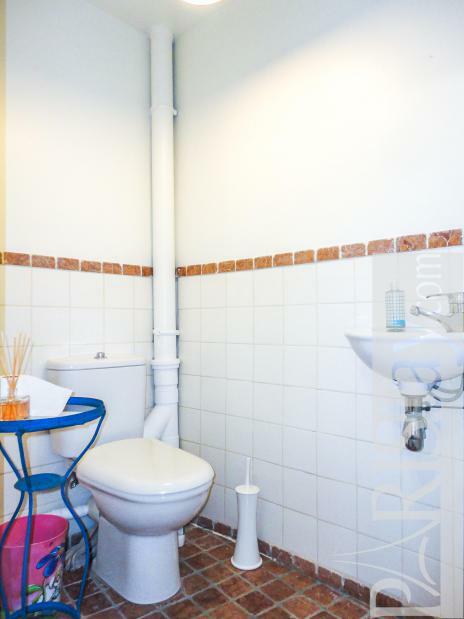 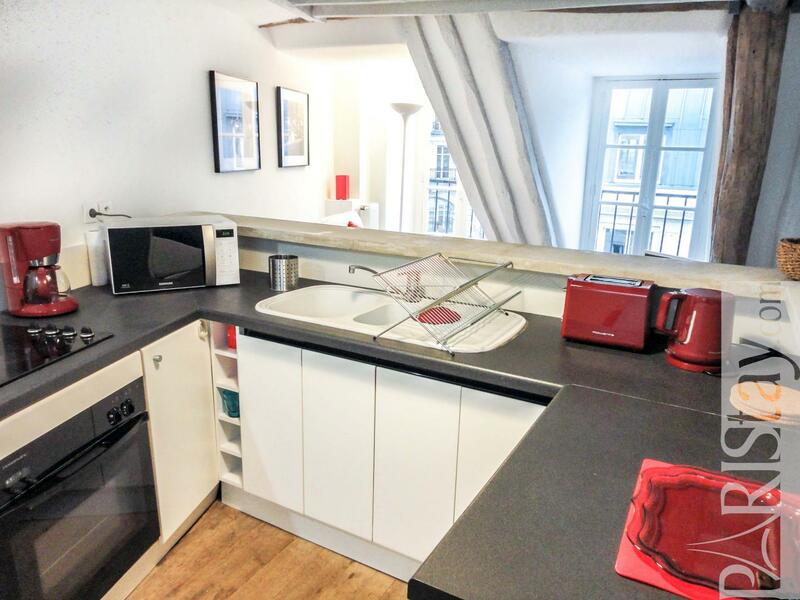 Spacious One Bedroom Apartement perfectly located in the charming and lively Montorgueil district, offering so many various shops, markets, trendy bars and restaurants. You'll find everuthing around including convenient transportation links. 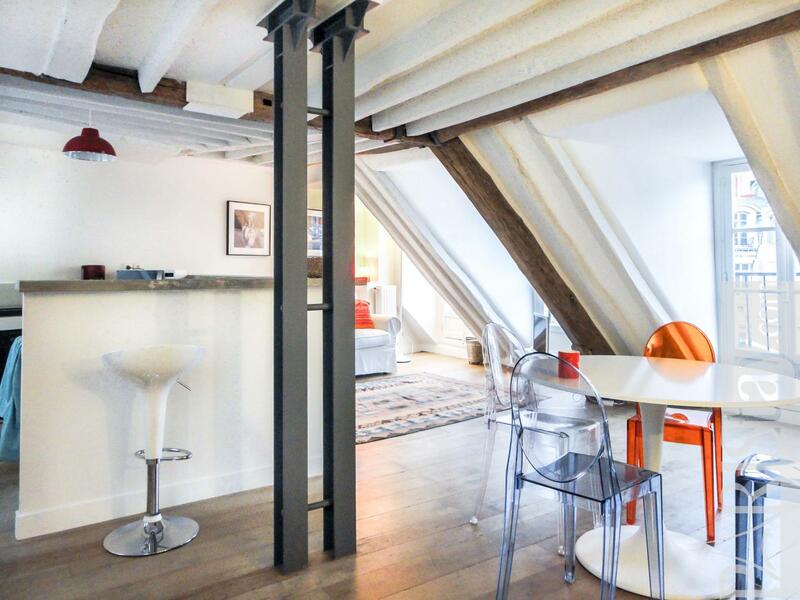 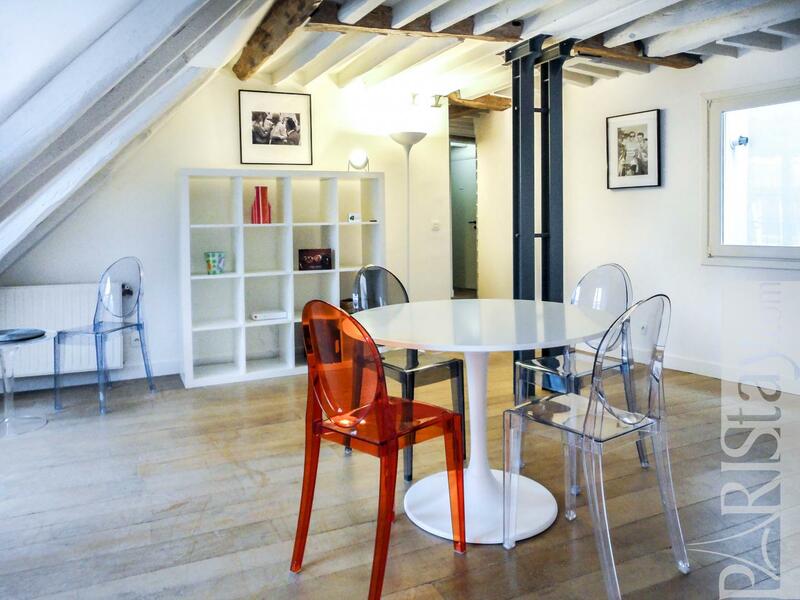 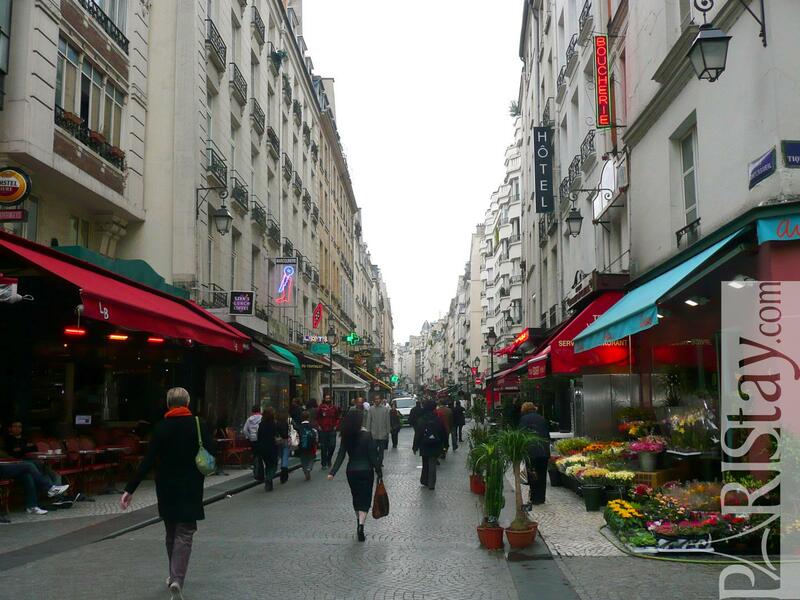 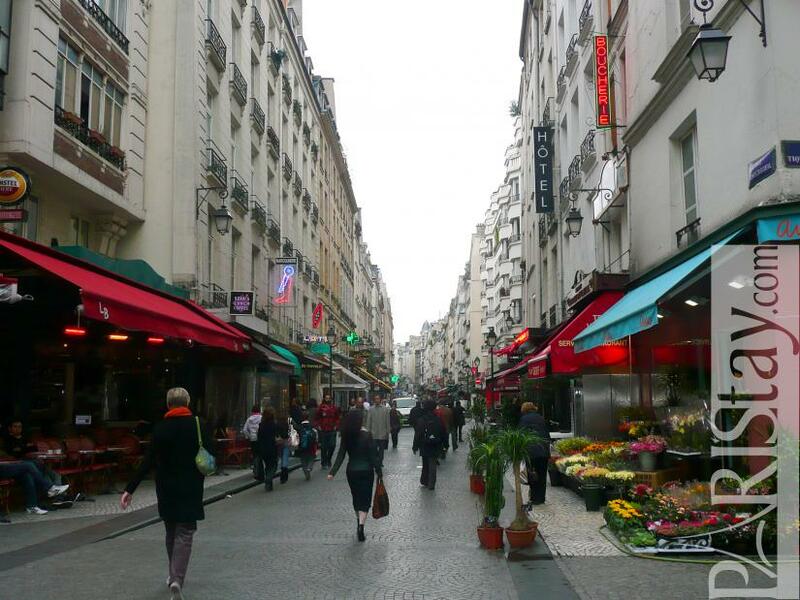 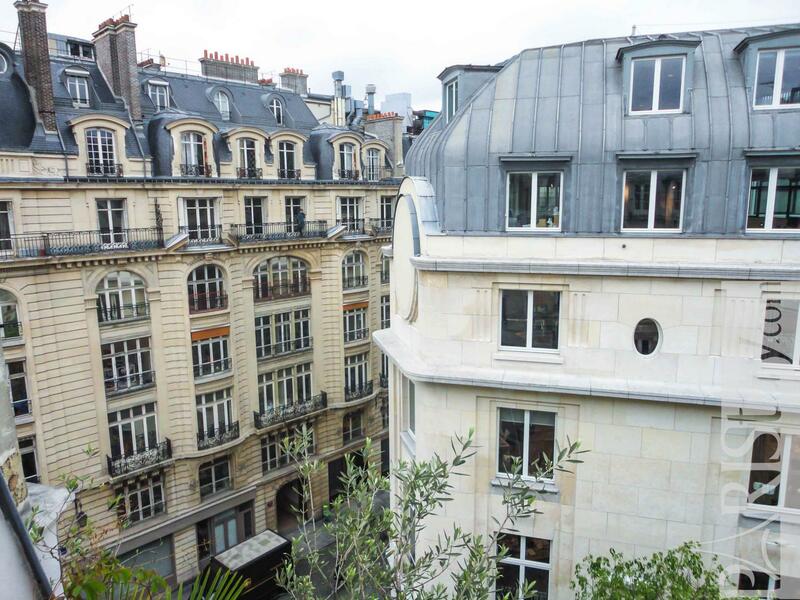 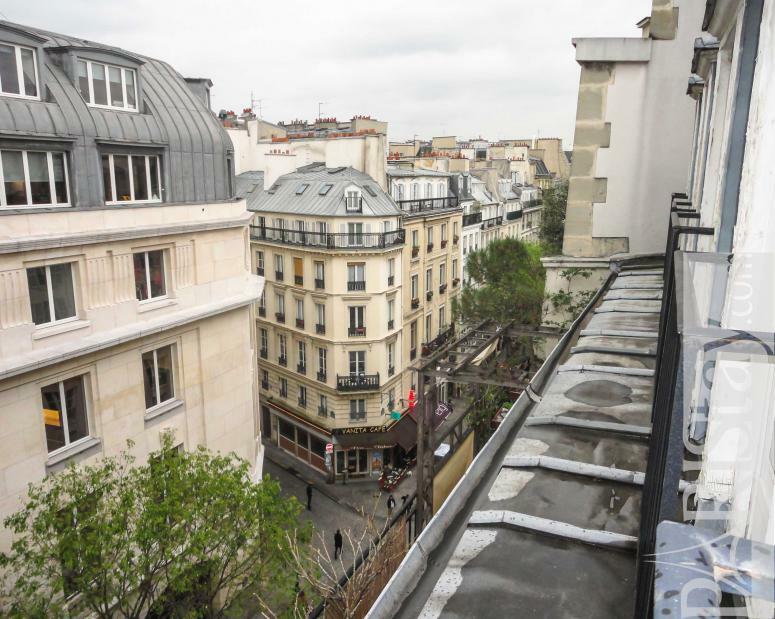 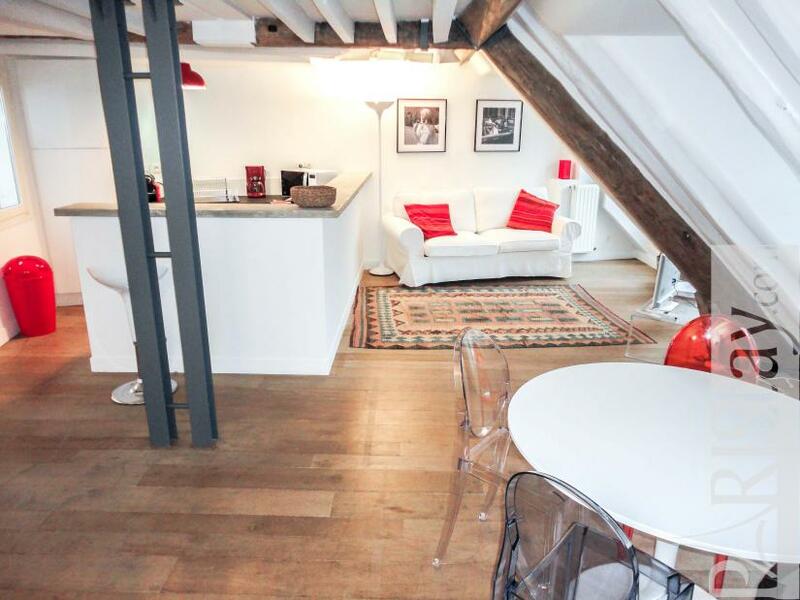 The apartment is located in the 6th and last floor with lift of a nice parisian building. 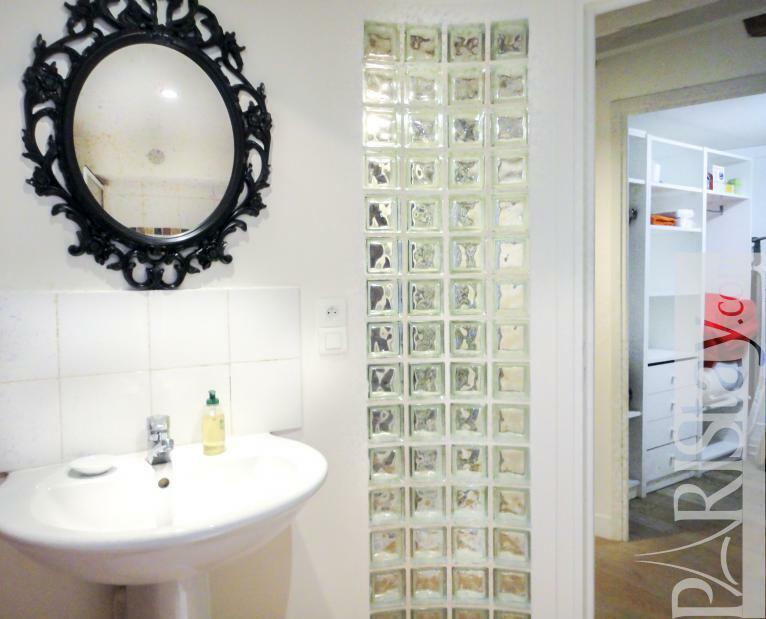 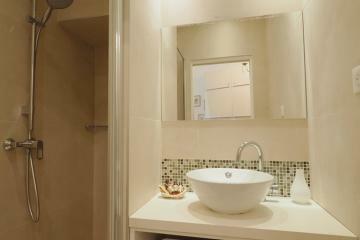 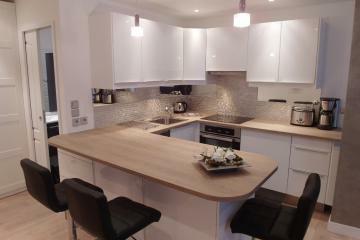 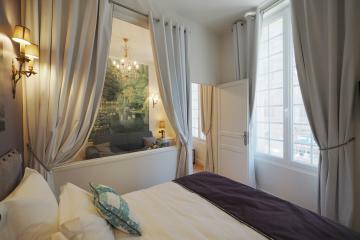 It has been totally renovated and tastefully designed by an architect in a contemporary spirit. 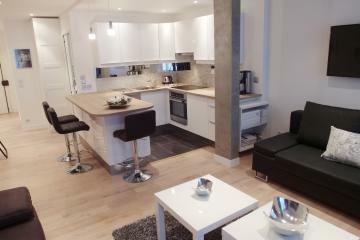 Spacious living room with a fully equipped kitchen, 5 windows open to the sky, sofa bed, dining table that seats 4 people. 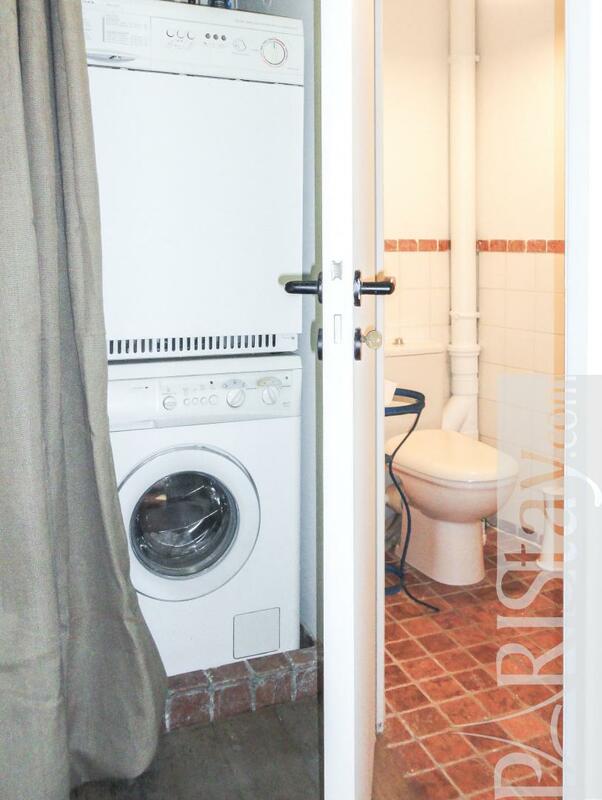 Cosy bedroom with a double bed and a large cupboard, shower room, toilet and laundry corner with a washine machine and a dryer. 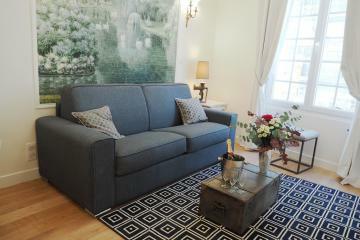 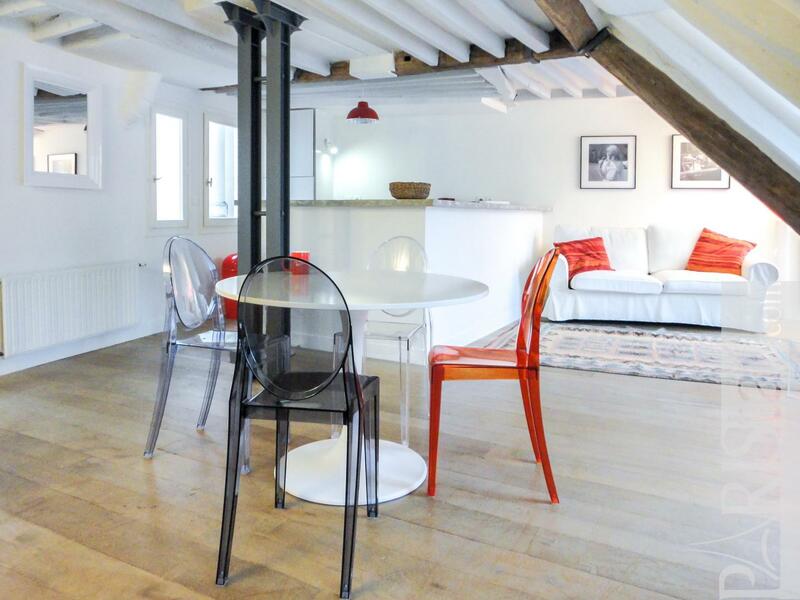 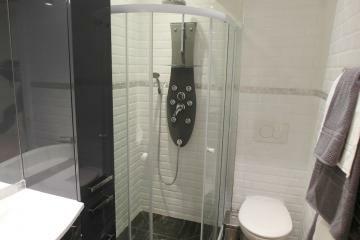 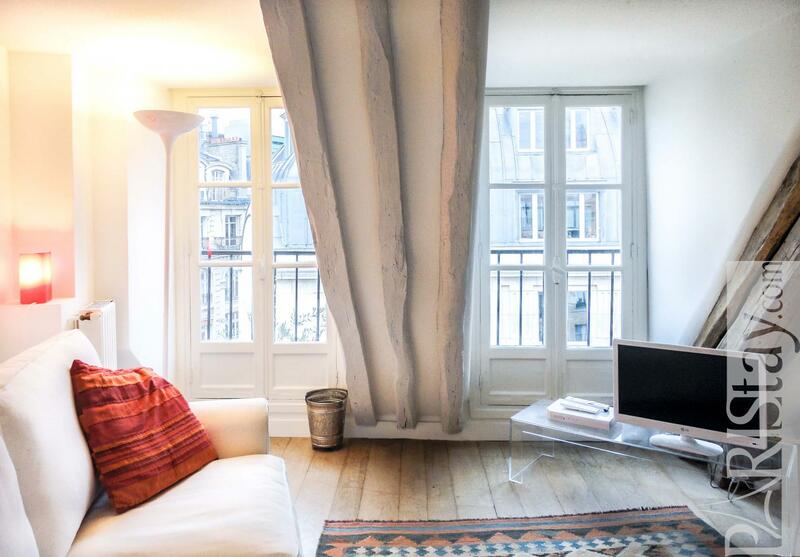 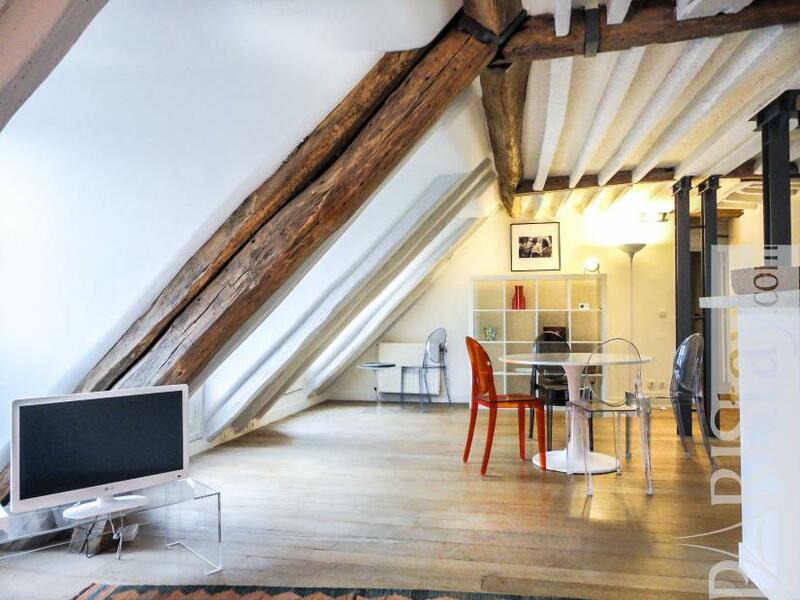 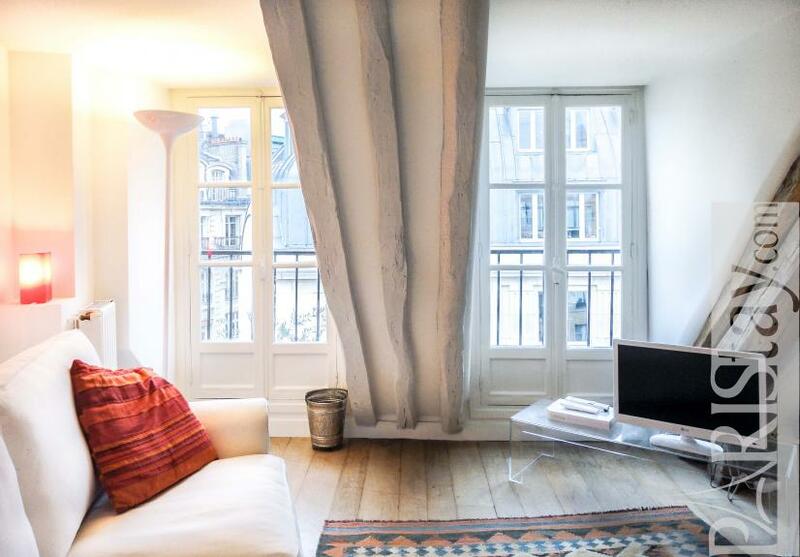 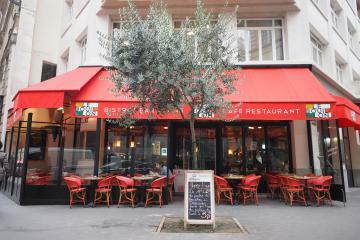 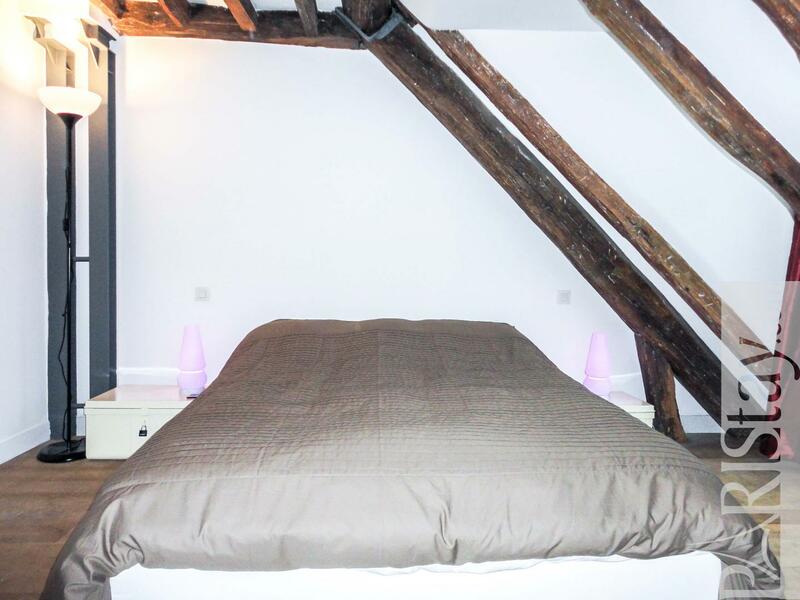 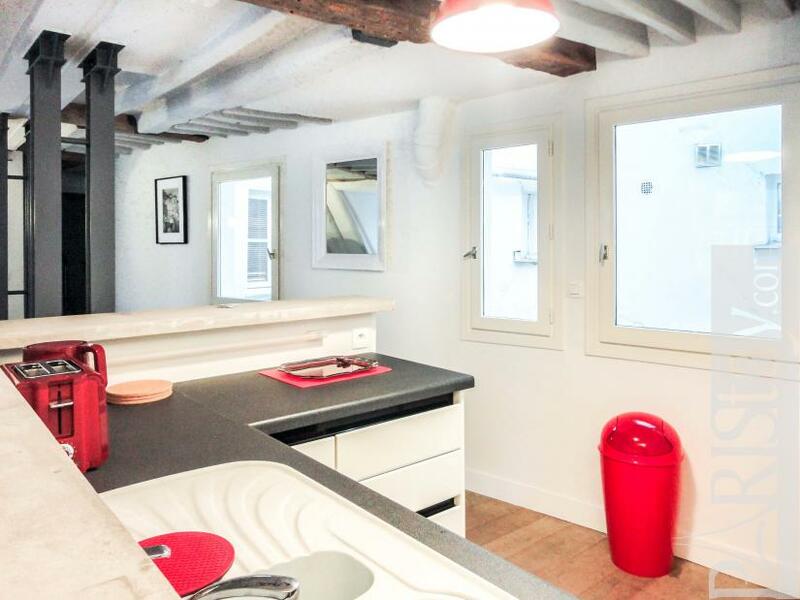 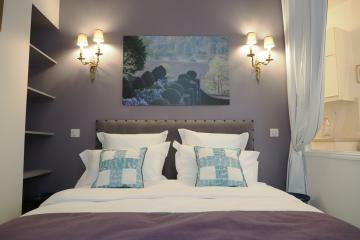 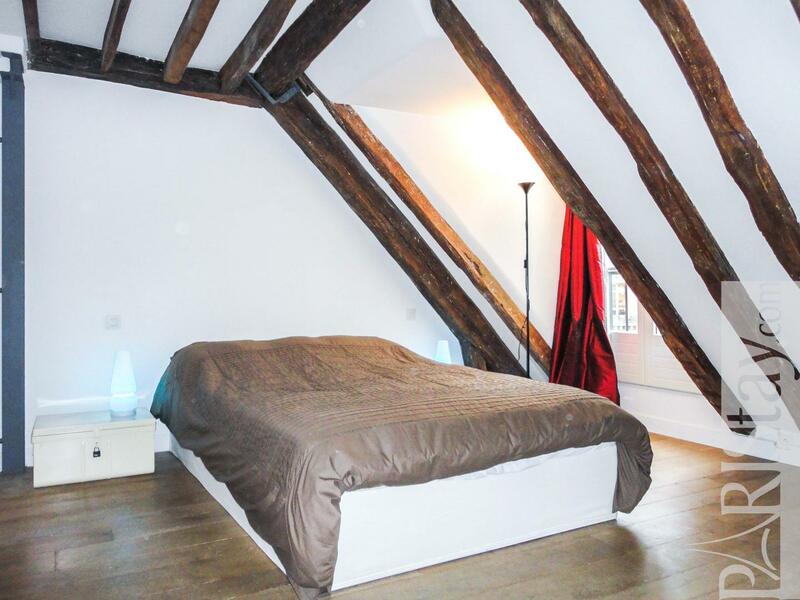 Perfect for your next long term stay in Paris. 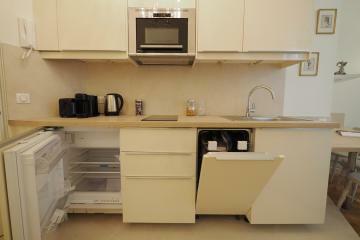 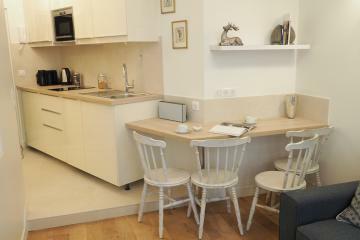 6 rd floor, with Lift, 1 bedroom Appartement, furnished, Approx: 60m² / 645 Sq.Ft.